Taking care of an Alzheimer's patient can pose many significant challenges, and safety is always a high priority. While personal monitoring around the clock might seem impossible, the sophisticated range of monitors and alarms at the MindCare Store can help you keep your family member safe 24 hours of the day, seven days of the week. Our Alzheimer's motion detector with remote alarm is an exceptional product that can keep track of your loved one's movements. The remote alarm comes with a high-performance transmitter and receiver set that can be customized to monitor a room or selected area, depending on your individual requirements. The versatility, reliability and convenience of this alarm makes it instrumental in reinforcing Alzheimer's wandering prevention. 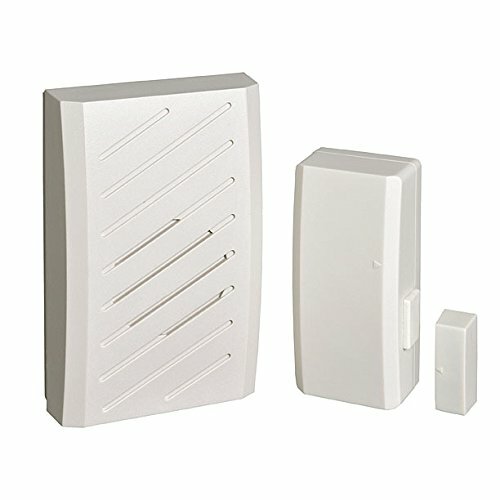 How The Door Alarm works: When a monitored door is opened the transmitter sends a signal to the receiver/alarm that mo nitor two, three or plugs into any standard AC wall outlet in your bedroom, kitchen, den, etc. You can use one set to guard one door or buy extra transmitters to more doors. There are three Alarm Settings: CHIME - When set on CHIME and a monitored door is opened, the electronic chime sounds once, no more. MELODY - When set on MELODY selected tune will play once, no more. It resets once door is closed. Tunes are listed below. ALARM - When set on ALARM the warning will sound and continue to sound for four minutes or until it is turned off, even after the door is closed . If you have any questions about this product by Jane's Senior Products in partnership with Puzzle with Me, contact us by completing and submitting the form below. If you are looking for a specif part number, please include it with your message.